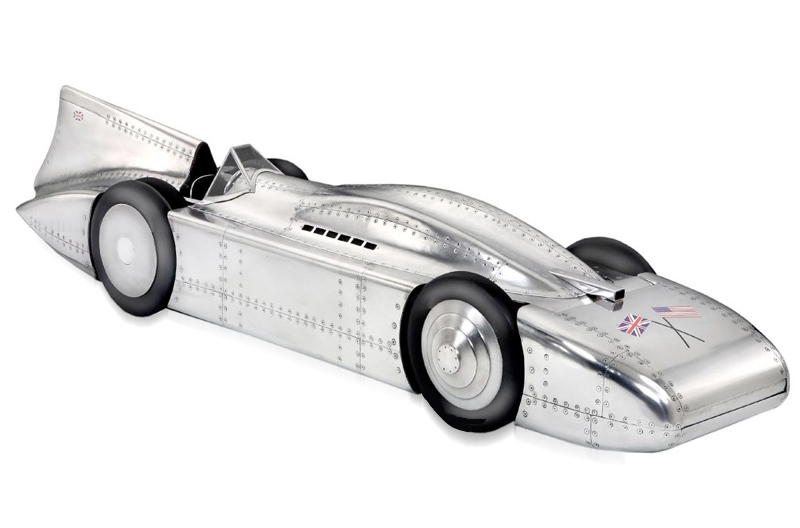 From Bluebird Team Racing.net: The Rolls-Royce Bluebird’s first outing was again at Daytona, where on 22nd February 1933, Campbell achieved 272.46mph, a new record by almost 20mph. The powerful engine though caused much wheel spin and ripping up of the Dunlops in the soft sand. 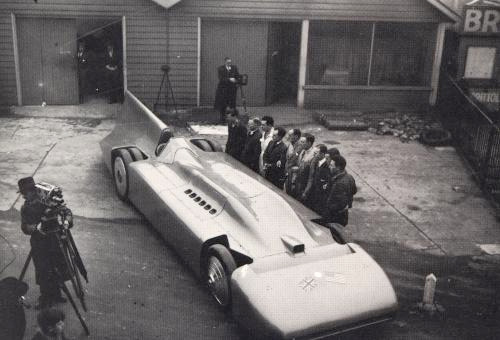 However, Campbell was convinced the engine had the power to get to 300mph, and during the latter half of 1933 and 1934, the car was completely stripped down and rebuilt. 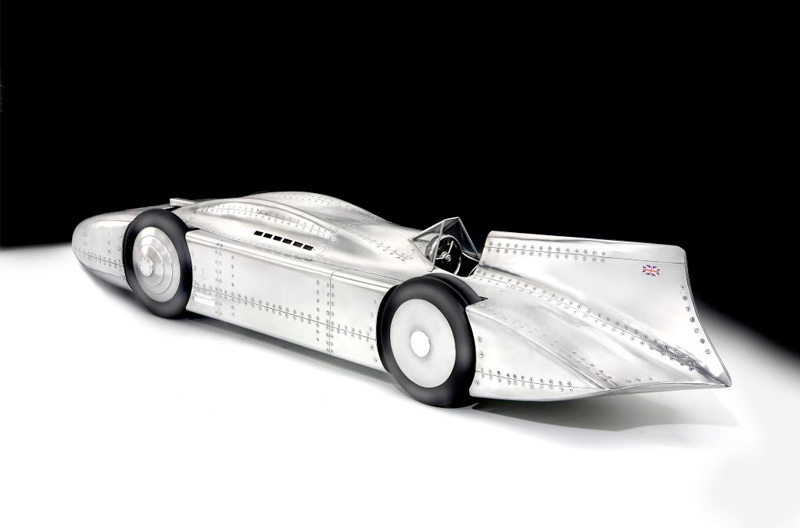 A superb, unique sculptural model of the 1935 ‘Bluebird’ land speed record-breaking car, the hand-wrought aluminium panels formed over a space frame, the six wheels and tyres cast in aluminium from a bespoke mould, complete with detailed cockpit, instrumentation, steering wheel, etc. Signed, numbered 1 of 1. Manufactured 2010. 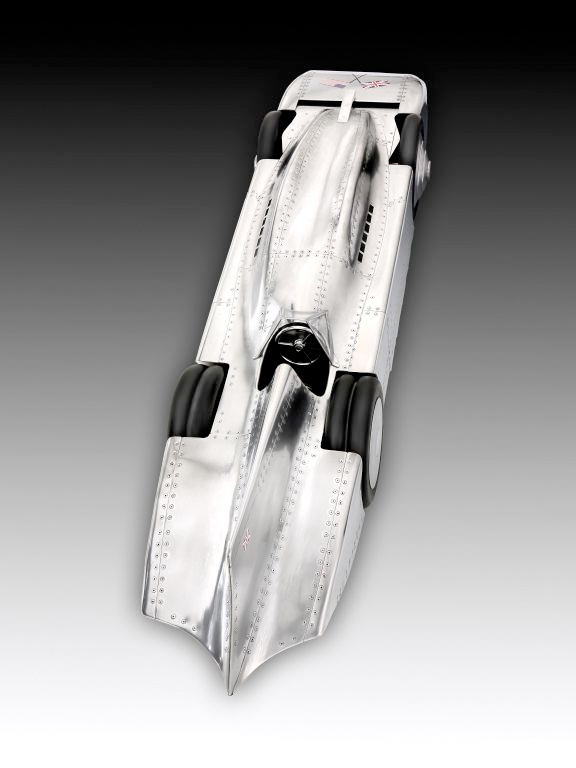 Materials/Techniques: Hand-formed aluminium, cast aluminium.